Dr. Broida recently received a re-appointment as an ACEP Representative to The Joint Commission Hospital Professional Technical Advisory Committee (PTAC). The PTAC is an integral part of The Joint Commission’s (TJC) advisory structure. Representing the views of a diverse group of professional associations, PTAC representatives provide expert advice to assist TJC in the development of Standards and Elements of Performance. Dr. Broida serves Director of Risk Management for US Acute Care Solutions. He is the Chief Operating Officer of Physicians Specialty Limited, Risk Retention Group (PSLRRG). Dr. Broida is a board-certified emergency physician with more than 20 years experience. 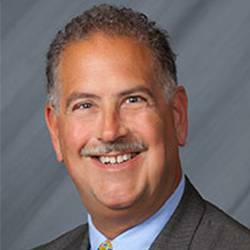 He has been active in emergency physician professional liability insurance since 1989, and possesses a wealth of experience in all aspects of risk management and patient safety. He also has a strong track record of ED operational experience, improving emergency department efficiency, patient satisfaction and profitability.